Have you ever thought about that fact that your house is the most fittable place for you to let your imagination run with no limits? Inspirations and Ideas presents to you the Fortuna wooden desk, a furniture piece so amazing and artistic that it will leave you absolutely mind blown and make you fall in love with this handmade art. 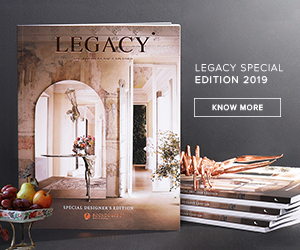 One of the design brand’s novelties such as the Pietra dining tables or the Lumière Lighting Collection, this desk transforms any home division and we hope you are ready to have its secrets unveiled. This is it! This is the item you need to be that statement piece in office furniture and that item that will set the standards for the rest of the interior decoration. Fortuna is a contemporary office wooden desk with one of a kind design aesthetic and refined statement to the most influential minds. Representing the essence of empowerment, sophistication, and mystics, this modern art gem features an exclusive surface patina brass and elegant palisander veneer finish, all in order of the experience of art and design in one. Made in wood and polished cast brass, this accent contemporary art piece incorporates nature-inspired design, industrious welding techniques and a manually engraved top that emulates the outlines of log rings, reminding the timeline of a tree. More than an everyday wooden desk, Fortune is a true statement piece in wood art aspect! Below the expansive desktop is an elegant composition of two scaled brass tubes, each one holding two drawers and one door covered by sleek veneer, and a central drawer for files between. Fortuna is a unique executive limited edition wooden desk that embodies the fearless state mind of Boca do Lobo and the availability to customize the features to accommodate the most demanding client’s requirements. 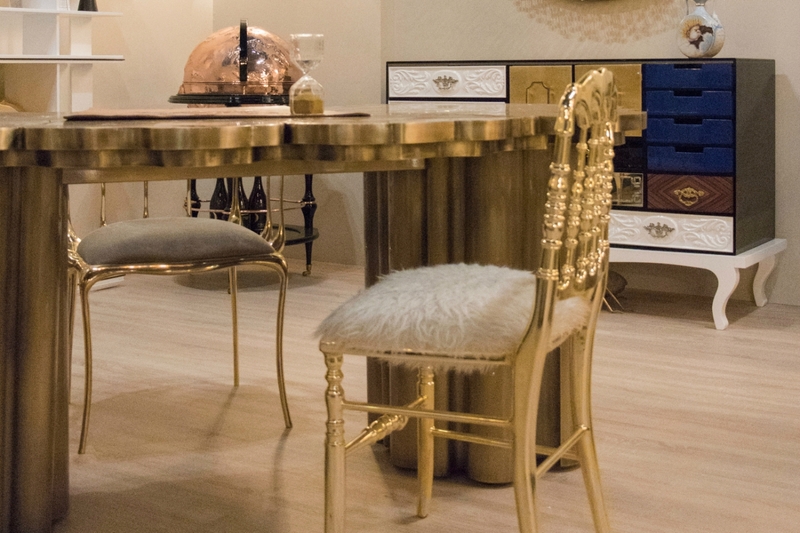 Check out the beautiful Fortuna dining table in silver and gold, this is something that our eyes simply can’t take off from!